The local Ka'anapali real estate market features a diverse selection of Ka'anapali homes for sale. Within this part of Maui, you will find many condominiums and villas that are conveniently situated within close walking and driving distance of a wide range of community amenities. Situated on 1,200 spectacular acres, Ka'anapali homes for sale are among the most desirable real estate in West Maui. Real estate selections in Ka’anapali are more diverse than other luxury resorts such as Kapalua. For those staying in Ka'anapali with families and friends, there is great variety of shopping, dining and nightlife activities providing an alternative to the tranquil surroundings of the West Maui beachfront. The market for Ka'anapali real estate includes everything from oceanfront luxury accommodations to golf-centric communities. Kaanapali Maui is situated on the western side of Maui along some of the area's most attractive beachfront real estate. Here, you will find carefully designed communities designed to provide residents and vacationers with a quality, oceanfront Maui experience. The Kaanapali Beach Resort broke ground in the 1960s, and has flourished ever since with the establishment of a large number of resorts, condos and single-family homes making it a major resort destination. Buyers can find a variety of property options. Kaanapali is known for its condominium living, many of which sit in high-rise resort properties overlooking the beaches. These properties offer low-maintenance living to those looking for a vacation home or a retirement home. Yet the area also has a number of single-family properties, as well as land that is yet to be developed. Kaanapali is one of the strongest real estate markets on Maui with some of the most luxurious homes on Maui and in Hawaii, and homes regularly sell for over $1 million. This is significantly higher than the average median sales value in Maui as a whole, which was approximately $600,000 at the end of 2015 for single-family homes. The median home sale price thus far in 2016 in Ka'anapali is $1,650,000. Expect oceanfront views to command the top prices regardless of property size and number of bedrooms. Interestingly, condominiums also had similar average price ranges of over $1 million which shows the popularity of condo living in this resort area. 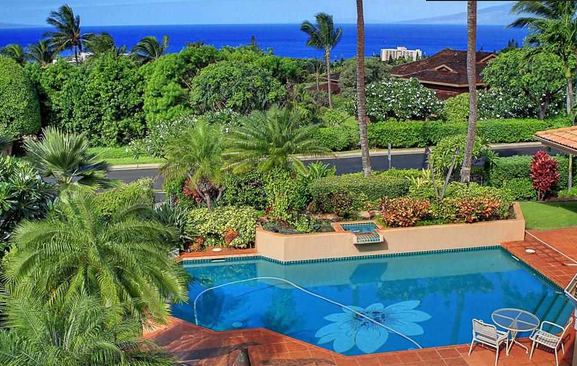 The average number of days on market for the Maui real estate market has been falling into 2015. As of February 2015 it was approximately 90 days. The current trend is indicative of the shift to a seller’s market. If you see a home for sale in Kaanapali that is under the $1 million price point, it is likely that you will need to act quickly! In a market place that is historically at the upper end of the Maui real estate spectrum, we expect buyer interest and demand to be consistently strong regardless of the market cycle we are in. Search all available Ka'anapali homes for sale on our site—we add new homes daily! And be sure to call Fred if you want to discuss the local market, prices, and trends, and how to access those hidden gems, some of which never make it onto the listings.